In-this article, we are going to learn how to find boundary sum of a binary tree? This article contains the solution along with algorithm and program. 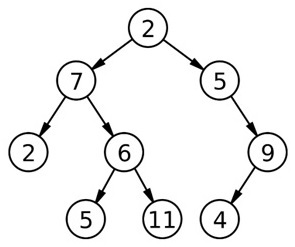 Problem statement: Given a binary tree, print the boundary sum of the tree. For this portion we do a level-order traversal & keep checking whether the traversed node has both its left & right point NULL or not. If the traversed node has both its pointer NULL then it’s a leaf node & of course add to sum cumulatively.